When Mahmoud Abbas formally asked the United Nations to recognise a Palestinian state, there was one perspective that was notably lacking in the surrounding media coverage: what did the youth of Palestine think? 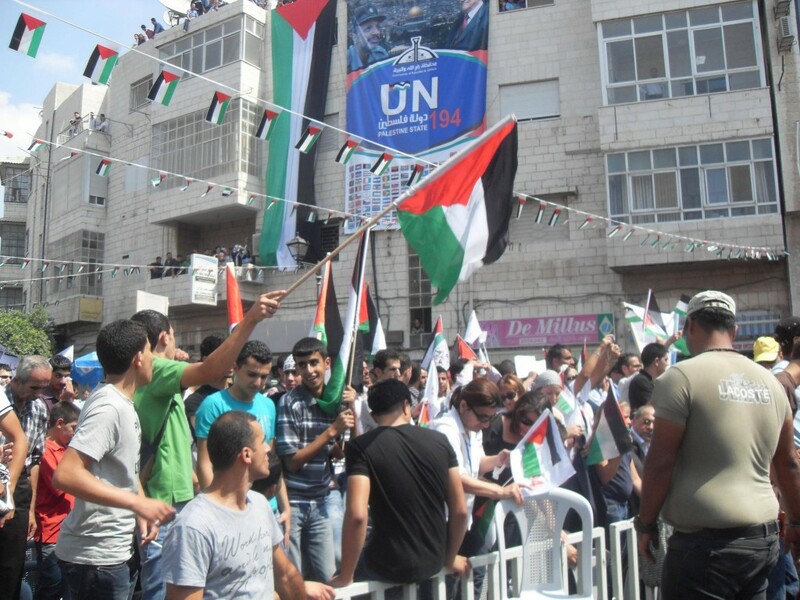 On the 21 September, thousands of Palestinians congregated in Ramallah, as well as in Nablus, Bethlehem and Hebron to show their support for Abbas and the UN statehood bid. 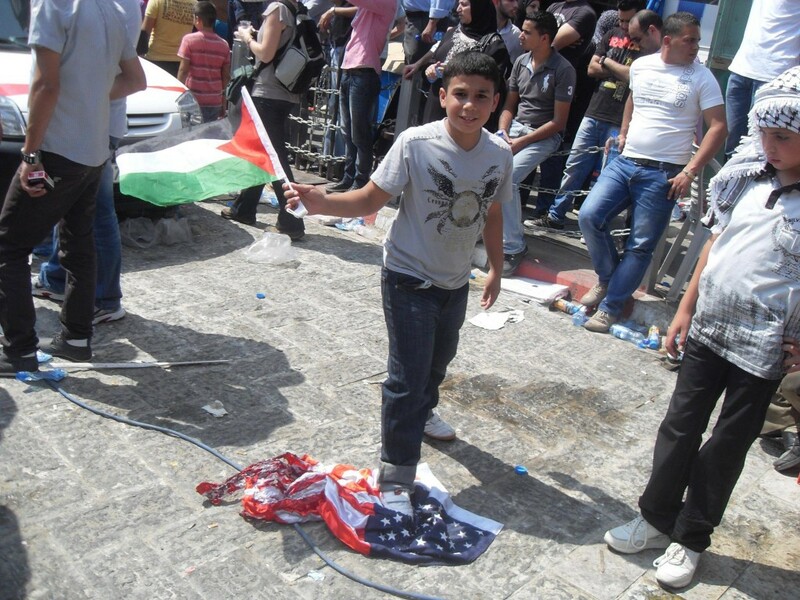 Among the crowds in Ramallah were hundreds of young people, including 17-year-old high school student Jalal Abukhater. Abukhater, who is a student at Friends School in Ramallah, recently helped organise Palestine’s first high school Model United Nations conference. Over 130 students from schools in Ramallah, Jerusalem, Bethlehem, Nablus, Haifa and Nazareth participated in the three-day conference where they were given the opportunity to develop their skills in debate, international diplomacy and conflict resolution. Abukhater has written about the conference at his blog at Electronic Intifada. I spoke with Abukhater recently and we talked about what many young Palestinians think about the statehood bid, and why he ultimately believes in a one-state solution. There’s been an increase in settler violence in the West Bank recently, which has arisen following the Palestinian decision to seek statehood at the United Nations. What do you know about that? Yes, Settlers feel threatened from the Palestinian Authority’s move for statehood at the United Nations. If Palestine is admitted as a state based on 1967 borders, illegal settlements are due to become under full Palestinian control and that is what Jewish settlers refuse. Settlers have vowed that they will march onto Palestinian cities to claim that the whole West Bank is theirs, and Palestinians will not even get the West Bank to live in. Settler violence has always been existent. Everyday there are reports of settlers attacking Palestinian villages, burning crops, damaging property and attacking villagers. There has been an increase in settler violence after September. Settlers have been blocking roads in the West Bank and attacking villages more often with the protection of the IDF. A few weeks ago, settlers attacked Qusra village near Nablus. Palestinians went out to defend themselves with their bare hands, and later Israeli soldiers intervened to defend the attacking settlers, and killed a Palestinian man. I have faced violence and hostility from the Israeli army more than settlers. I live in Jerusalem, therefore I have to go through checkpoints and go through the humiliation of interrogation many times for absolutely no reason. Provocations from Israeli soldiers against Palestinians have become unbearable. From your experience, are Palestinian youth enthusiastic about the decision to seek recognition of statehood at the United Nations? Not many. Some who believe in the two state solution are enthusiastic, but many others don’t because they don’t believe that such a move is appropriate and it doesn’t favors the Palestinians in Palestine and in the Diaspora. Palestinians deserve to live in their ancestral homeland; the Right of Return (UN res 194) must be applied to everyone. I, along with many Palestinian youth, favor the democratic one state solution because it is more realistic than the two state solution knowing Israel will never adhere to international law and respect Palestinians as human beings who deserve equal rights in their homeland. Would a successful statehood bid result in any tangible benefits for the Palestinian people? Even if Palestinians receive full access to UN organizations like the ICJ where they can legally pursuit Israeli war crime perpetrators, it won’t have any tangible benefit. Israel has always evaded international law and has barely ever complied with it. Look at occupied Syrian Golan Heights, occupied southern Lebanon (1976–2000) and the raid on the Freedom Flotilla in international waters. There are many other events, I won’t recall all right now, but I don’t believe that UN recognition of a Palestinian state will have any tangible benefits. You’ve said that you believe in a one state solution. Could you explain why? I believe the one state solution is the best thing that would happen to Palestinians and Israelis alike. Palestinians have wasted decades in worthless negotiations; Israel keeps stalling and breaking agreements leading to more conflict. Palestinians have given up most of what they have, and Israel didn’t settle. The Palestinian authority was ready to give up a lot of the West Bank, begging Israel to accept and leave them alone. Israel never complied, and never had enough. I believe now is the time we move forward to work on the one democratic, secular state where every man has a vote, where everyone is equal and there is no discrimination against any group of people.